West Virginia Sen. Joe Manchin, who is up for reelection in a state President Trump won by a wide margin, says he doesn't "give a s**t" about losing his Senate seat. "I don't give a s**t, you understand? I just don't give a s**t," he told the Charleston Gazette-Mail on Sunday. "Don't care if I get elected, don't care if I get defeated, how about that. If they think because I'm up for election, that I can be wrangled into voting for s**t that I don't like and can't explain, they're all crazy." "I'm not scared of an election, let's put it that way," the senator went on. "Elections do not bother me or scare me. I'm going to continue to do the same thing I've always done, extremely independent." 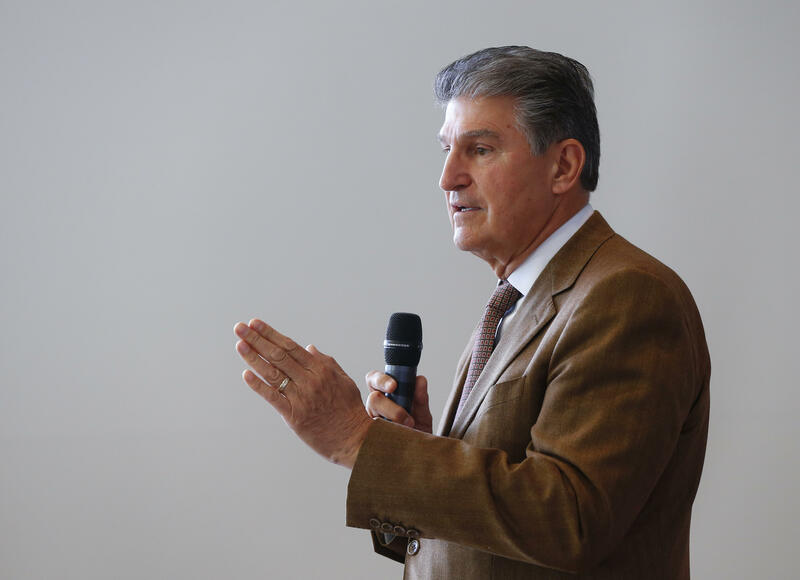 Manchin's colorful comments come as a response to a letter written by West Virginia Attorney General Patrick Morrisey asking Manchin to resign from Democratic Senate Minority Leader Chuck Schumer's leadership team. "I am writing to urge you to put West Virginia's interests and values first and resign immediately from Sen. Chuck Schumer's leadership team," Morrisey's letter to Manchin reads. Morrisey, a Republican, is running to replace Manchin in 2018. Although once a Democratic stronghold, West Virginia has become one of the safest Republican states in the country, and gave President Trump one of his largest margins of victory last November. Last week, the state's governor, Jim Justice, publicly announced his switch from the Democratic Party to the GOP at a local rally held by Mr. Trump. "Like it or not like it, the Democrats walked away from me," Justice said. "Today I will tell you with lots of prayers and lots of thinking...today I will tell you as West Virginians, I can't help you anymore being a Democratic governor."